Every so often an Agatha Christie book pops up on a Bookbub, and I've been succumbing to the temptation to buy them. I haven't read her stories in a long time, but I enjoy her style very much. She's the quintessential cozy mystery writer: there's generally not much blood and gore, and the focus is on the detective and the case. Of the various sub-genres of mysteries, I enjoy cozy mysteries the most. I would rather not have long stretches inside the demented mind of a killer, thank you very much, or see all the bloodiness. Also, true crime books freak me out, particularly the ones about serial killers. Just--no. That being said, it seems like many cozy mystery authors now have to try really hard to invent some kind of setting for their stories, mostly in order to have cute titles that sound good in a series, or to provide filler between the actual elements of the mystery. Thus we get the quilt shop mysteries and the cooking show mysteries and so on. Some of them are great, but most that I have tried are just mediocre. Christie didn't do any of that--she didn't have to. She created strong detective characters--Hercule Poirot, Miss Marple--then let their cases come up as they would, without need for a lot of filler. The witnesses and evidence provide the intrigue, not backstory about how an amateur detective got started in his/her pet hobby. Her work is better for it. 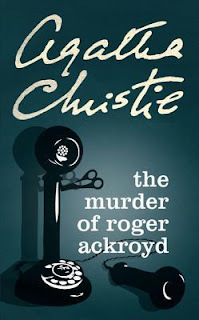 I can predict there will be more Agatha Christie in my reading rotation! 5 stars: 4 stars for most of the story and an extra for the ending! Dr. Sheppard lives with his sister Caroline, an inveterate gossip with a certain intuition about the underlying truths beneath the tales. When a widow in their little village of Kings Abbott commits suicide--a woman Caroline is convinced fatally poisoned her husband 4 years ago--of course Dr. Sheppard is called upon to do the inquest--though he can't say anything about it to his sister. There are enough rumors flying around as it is. Not too long after that, the community is shocked again when Roger Ackroyd is murdered. Ackroyd was generally well enough liked, and according to the rumor mill, was having an affair with the widow. The deaths must be linked! There are a few people who could have had a motive to do him in. Soon a new neighbor, a Mr. Poirot, decides to help the local police force investigate, and Dr. Sheppard gets corralled to come along--as sort of the sidekick. Just when you think you've got it figured out, something else comes to light. Fantastic twist at the end of this one! 4 stars: Can you figure it out before Poirot? 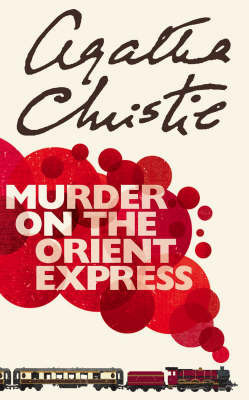 Hercule Poirot must take the Orient Express home from a business engagement. The train is completely booked, which is unusual for this time of year. In fact, every compartment is taken. As the train is in route, however, a snowstorm delays it. The delay is deadly for one passenger--murdered in the compartment right next to Poirot's, in fact. A locked compartment, no less. 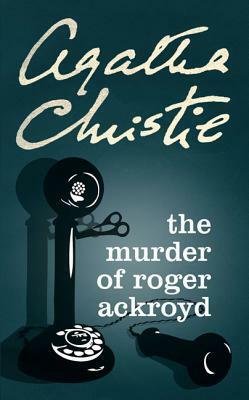 Poirot is called upon to use his "little gray cells" and conduct an investigation. Before long, it becomes increasingly certain that murderer is still on the train. Hurry Hercule, hurry! This one is a classic of Christie's. It seemed like I had read it before, a long time ago. In any case, it was fun sifting through the evidence, including lies and half-truths, with Poirot. Great ending, too! Do you have a favorite Agatha Christie novel? Do tell!